A casing pipe is a specialized large-diameter pipe lowered into an open hole and cemented in place. Our casing pipes are available in standard API configurations, with all sizes from 4-1/2" to 20" in grade J55, N80, L80, C90, P110 and Q125. They are strictly made in accordance with API Specification 5CT, API Specification 5B and others. However, their steel yield strength is higher than API standard. 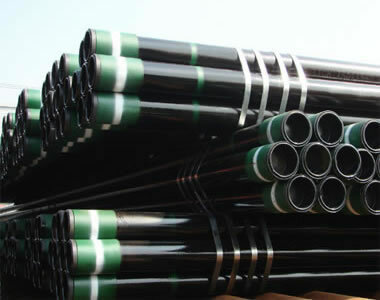 Additionally, our casing pipes provide high thread bonding strength with good anti-thread gluing ability. As a professional casing pipe manufacturer and supplier in China, Rugao Yaou Company not only offers quality oil drilling equipment such as oil drilling, drill rig parts, and solid control equipment, but also supplies reliable hydraulic press brakes, shearing machines, and so on. Through our continued efforts, we have received the certificate of the American Petroleum Institute (API). Additionally, our location in Rugao city of Jiangsu province provides us with easy access to deep water wharfs, highways, and airports, and thus our customers can effectively save on international freight charge.